Gladstone360 is an all-in-one leisure and membership management software for leisure and sports clubs, which offers tools for managing members, marketing, scheduling, payment processing, administration, facilities, and more. The web tool aims to provide a 360 view of the business from any device, with optimization for mobile devices and tablets for management on-the-go. Gladstone360 is partnered with leisure centres, sports facilities, gyms, educational institutions, and health clubs within the UK and Ireland to manage, acquire, schedule, and take payments for leisure activities. 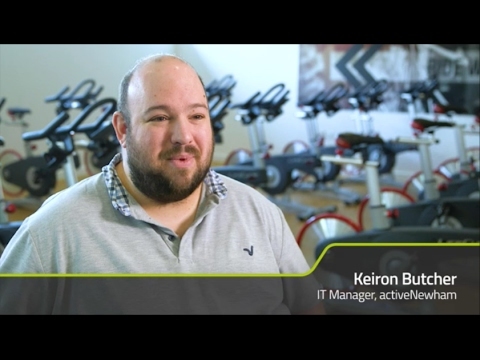 The Gladstone360 platform is designed to aid managers and employees within leisure centers in carrying out their day-to-day tasks, with automation opportunities and client self service to give users more time to focus on providing enhanced customer service. Tasks such as communications, reminders, class scheduling, resource allocation, reporting, and more can be automated within Gladstone360, and the self service kiosks and online portal give clients the opportunity to book their own classes, check-in to centres, pay for bookings, collect tickets, access subscription information, and more. By combining a custom mobile app, self-service kiosks, access controls, and administrative backend tools, Gladstone360 facilitates management of the entire customer journey, and allows businesses to tailor the solution to their needs. A custom branded mobile app can be built within Gladstone360 using the MobilePro module, which can be configured to provide the features needed by customers such as booking management, news feeds, promotions, social media integration, and more. The Gladstone360 software can also be used on a tablet or integrated with kiosk software to provide a self service reception within the facility. Kiosks facilitate client self service with tools for signing in, paying for tickets, making bookings, printing tickets or wristbands, and more. There are currently no reviews of Gladstone360. Contact Gladstone for a pricing quote. Manage backend administration tasks within Gladstone360 which offers tools for processing payments, collecting debt, managing calendars, scheduling resources, validating data, and more. Create a custom branded mobile app with the MobilePro module and allow customers to use the app to make bookings, view promotions, check their subscription, generate leads through social media sharing, and more. Facilitate client self service through the mobile app, as well as via kiosks within the centre. Clients can make bookings, carry out payments, print tickets and wristbands, and more using the kiosk hardware, or simply by installing tablets with the Gladstone360 app. Generate reports using the eyeQ business intelligence module with tools for manipulating data, designing and storing commonly used reports, querying live data, generating custom SQL queries, and exporting reports to Microsoft Excel and Adobe PDF. Maintain communication with clients and members using tools such as feedback collection, personalized in-app message sending via email and SMS, and social media integration. Below are some frequently asked questions for Gladstone360. Q. What type of pricing plans does Gladstone360 offer? Q. Who are the typical users of Gladstone360? Q. What languages does Gladstone360 support? Q. Does Gladstone360 support mobile devices? Q. Does Gladstone360 offer an API? No, Gladstone360 does not have an API available. Q. What other apps does Gladstone360 integrate with? Q. What level of support does Gladstone360 offer?